This timesaving cutoff or parting tool holder is designed to hold the cutoff blade upside down for use on the “back” side of the part. This allows the holder to remain mounted to the crosslide where it is out of the way while the regular tool holder stays mounted on the front of the crosslide. 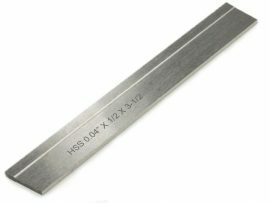 A .040″ parting tool blade is included. 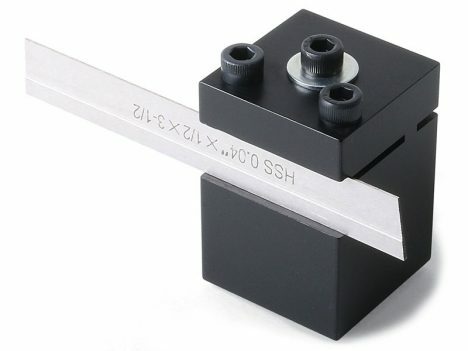 Sherline also offers a conventional holder that is the proper height to hold the cutoff tool for use on the front side of the part. See P/N 3002. With the use of a P/N 3016 cutoff tool rear mounting block, this holder can also be used on the back side of the part, but if that is going to be your primary intended use, the P/N 3018 holder will do the job easier and without the extra cost of the rear mounting block. Never use a parting tool on a part mounted between centers. The part can bind on the cutter and result in a scrapped part or a broken tool. A small amount of cutting oil is a must. Parting off free-machining material over a 1.00″ (25 mm) diameter will always be a problem on a machine of this size. 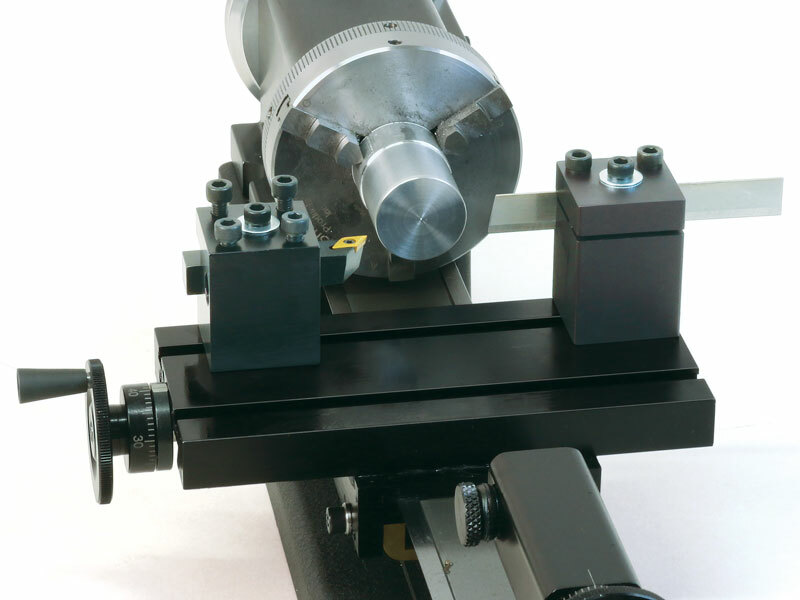 The rear mount cutoff tool holder can remain mounted to the lathe table. It is out of the way on the “back” side until needed for a cutoff operation.